Models for Taking Part brings together media works by international artists Anetta Mona Chişa & Lucia Tkáčová, Tobias Zielony, and Artur Åmijewski, with a special film screening by Renzo Martens. 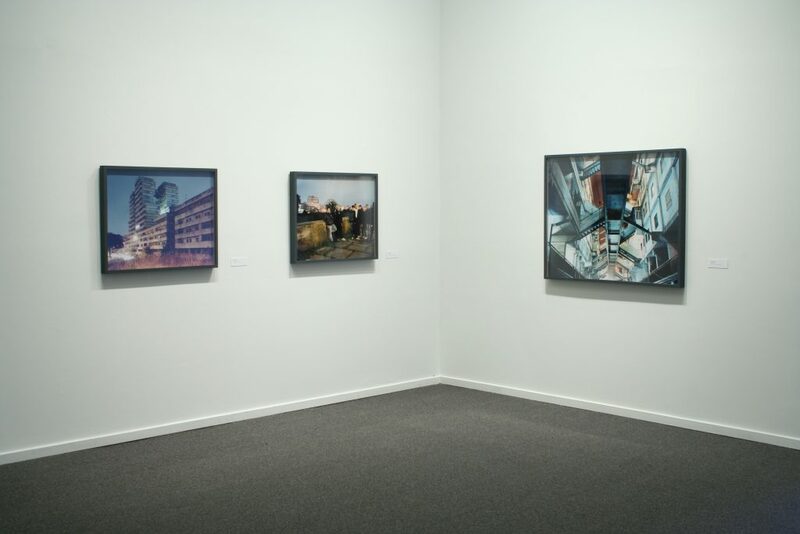 The three works in the exhibition are critical interpretations of the public sphere as an idea and ideal that intersects uneasily with factional and even personal interests, and is thus constantly thrown into fragments. 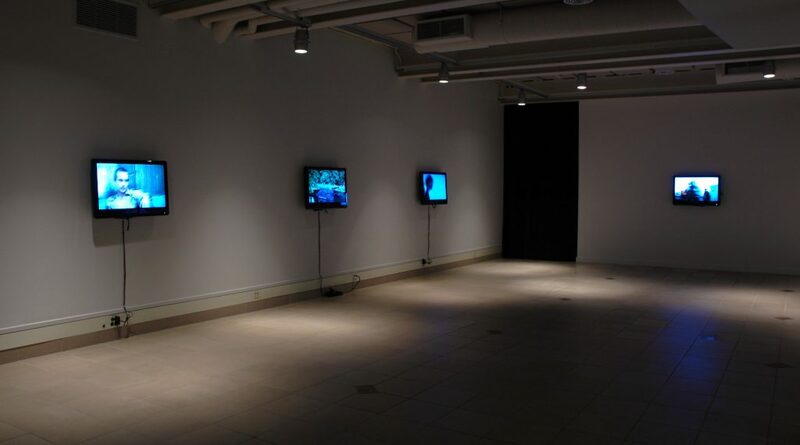 Artur Åmijewski’s Democracies (2009) is a multi-screen installation comprised of short vignettes of protests, public processions and historical re-enactments. Each vignette documents a different manifestation of such collective mobilizations, comprised mostly of recent protests in support of democratic rights or some form of self-affirmation, occurring in Western Europe and countries directly affected by its proximity. Tobias Zielony’s Vele di Scampia (2010) is a video and photography-based documentary that focuses on Franco di Salvo’s eponymously named modernist housing project in Naples, Italy–a product of Italian rationalism that was taken over by the mafia and thus “privatized,” albeit in a very public way. The Descent of Man (2010) is a video by Anetta Mona Chişa & Lucia Tkáčová in which a group of “blonde” girls are asked to read sentences from Darwin, one at a time, and pass them on in secret. The girl sitting at the end of the chain must utter the secret out loud. The initially complex sentences become simplified and transformed through a string of interpretations and re-interpretations. 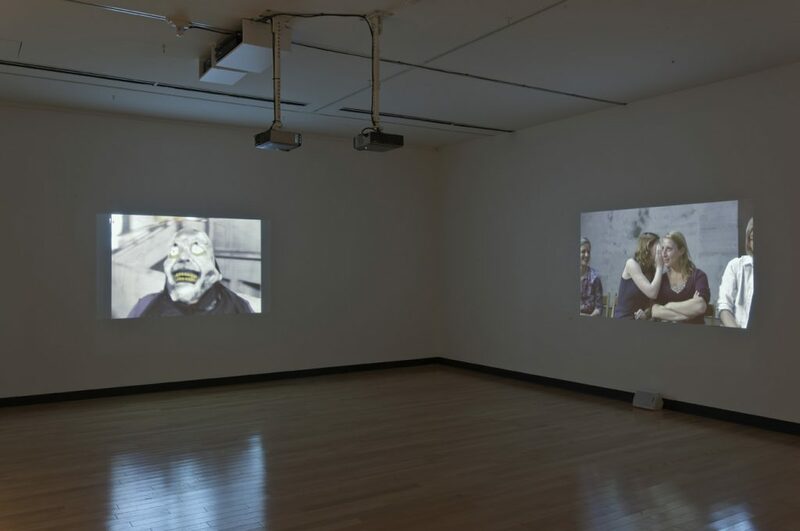 All three works offer models of participation that are unsustainable in terms of the ideal marriage between democracy and the public sphere: in Democracies the viewer is confronted with an emotionless gaze that seems relentlessly disenchanted with the effectiveness of public actions; in Vele di Scampia one is brought into a world that seems thoroughly uninterested in politics, open only to itself; and on a humorous note, The Descent of Man, appropriates a discourse of collectivity that at the same time exercises a degree of violence on collective knowledge. One might see Renzo Martens’ Episode III: Enjoy Poverty as the “coda” of this exhibition. This documentary/film shows a man, reminiscent of a Werner Herzog character, charging through the Upper Congo, bent on displaying a neon sign that reads “Enjoy Poverty.” In “bad faith” (in Jean-Paul Sartre’s terms) – if not bad taste – this enterprise nevertheless manages to reveal a reality that, though widely discussed, is generally suppressed from media representation or, worse, industriously controlled. 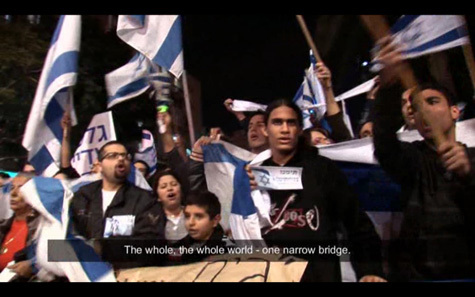 The film is also a statement about the investment that the idea of participation (one hesitates to use the word “commitment”) has on individuals and their motivations. Anetta Mona Chişa, born in Romania, and Lucia Tkáčová, born in Slovakia, have been working together since 2000 and currently live in Prague. Recent exhibitions include Figura cuncta vedentis at Thyssen-Bornemisza Art Contemporary, Vienna; How to Make a Revolution at MLAC, Rome; and The Making of Art at Schirn Kunsthalle, Frankfurt. They will represent Romania in the next Venice Biennale. Berlin-based Tobias Zielony produces photographs and moving pictures that often portray groups of teenagers in suburban settings and social places at the fringes of urban environments. 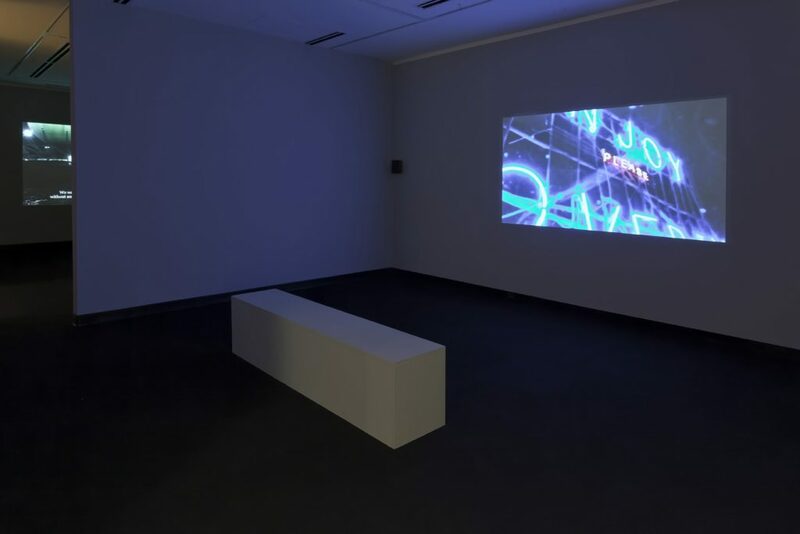 Recent exhibitions have been at Kunstverein Hamburg, Fotomuseum Winterthur, Switzerland, Sprengel Museum, Hannover, with an upcoming show at Museum Folkwang, Essen, Germany. His new book, Story/No Story, published by Hatje Cantz is available in the Presentation House Gallery bookstore. Born in Warsaw, Poland where he lives, Artur Åmijewski works almost exclusively with the media of photography and film. From an almost anthropological viewpoint he investigates social norms, morality and representations of power, and the relation of art to politics. His work has been in numerous international solo and group exhibitions and publications, and he represented Poland at the 51st Venice Biennale in 2005. He is a member of the Polish political movement “Krytyka Polityczna” and the art director of the magazine of the same name. He has been appointed curator of the 7th Berlin Biennale of Contemporary Art in 2012. Dutch artist Renzo Martens is working on a series of films that try to mediate their own complicity with dominant visual regimes. His works have recently been shown at Tate Modern, London, Kunsthaus Graz, La Vireina, Barcelona, Stedelijk Museum, Amsterdam and the 6th Berlin Biennale. Episode I of this series was shot in a refugee camp in Chechnya in 2002. A screening of Episode III, followed by a discussion, will take place in early April. Juan A. Gaitán is Curator at Witte de With, Centre for Contemporary Art in Rotterdam. He has produced numerous exhibitions of contemporary art and has published and lectured widely. 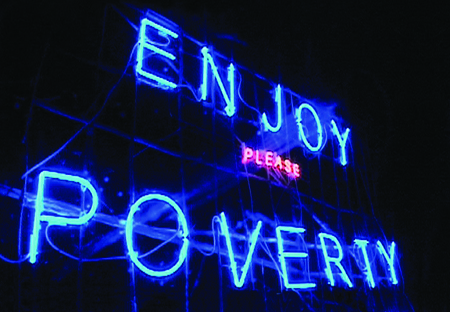 Renzo Martens, still from "Episode III: Enjoy Poverty", 2009, film, 90 min. Tobias Zielony, "The Group", 2010, C-print. Courtesy the artist and Koch Oberhuber Wolff, Berlin.